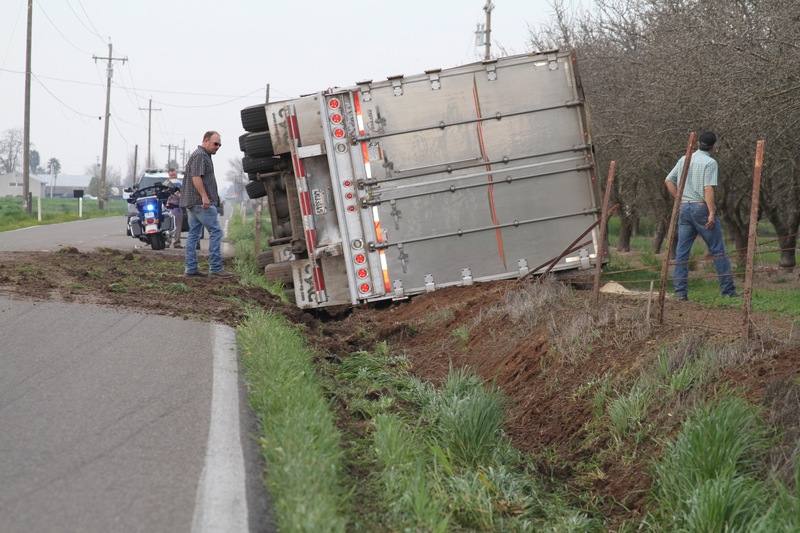 Central Valley AG Transport Truck vs. Drainage Ditch. 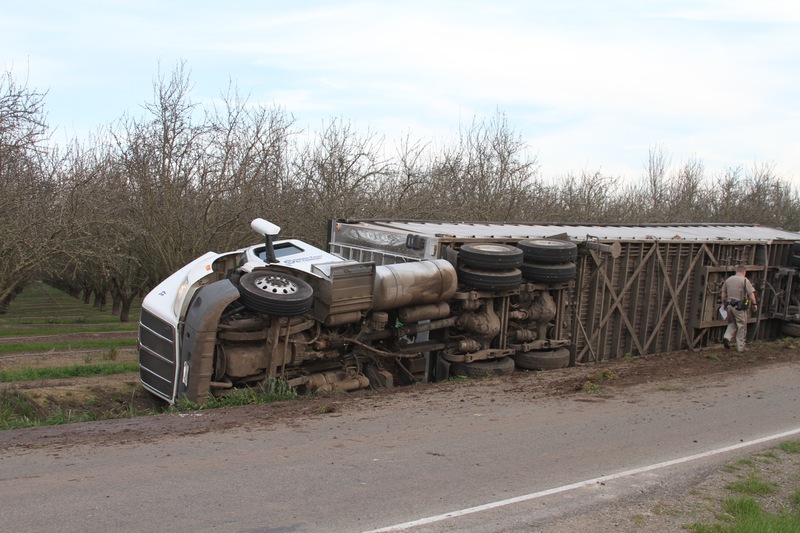 On February 12, 2016 at approximately 4:35 pm., a driver of a big rig truck and trailer escaped injury when the truck he was driving slipped into a drainage ditch and turned over on its side. 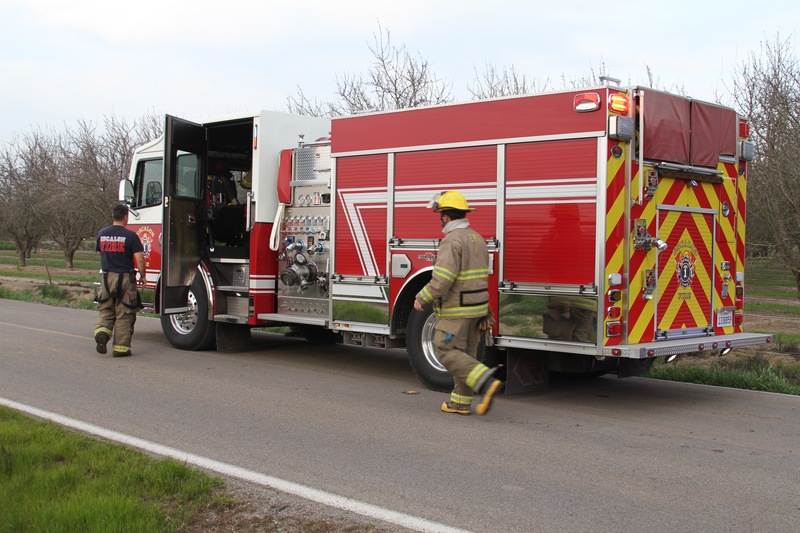 The truck was traveling south on S. VanAllen Road when the driver of the big rig steered too close to the ditch. The recent rains have left the soil damp and loose. 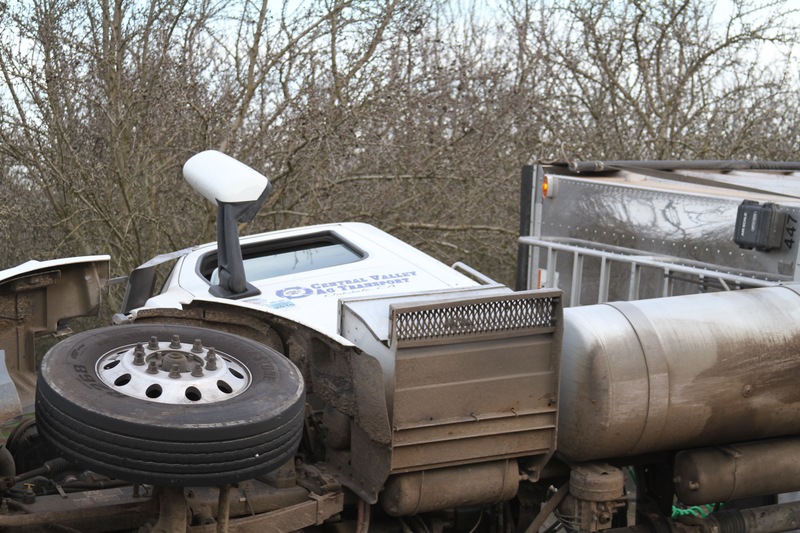 When the truck got too close to the edge of the ditch the soft soil gave way to the weight of the big rig causing the crash. 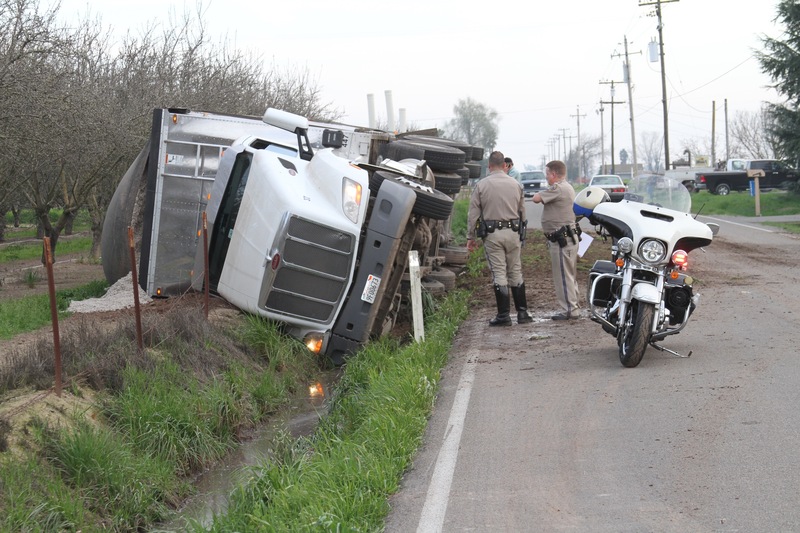 Escalon Fire responded to the scene of the accident and California Highway Patrol was also on hand to assess the accident. The roadway was closed for a short period of time while the big rig was uprighted. Next Next post: ESCALON – OUT OF TOWN DRIVER MISTAKES THE RAILROAD TRACKS FOR ROADWAY. Truck was cleared off the roadway about 8:30 pm. The muddy and slightly damaged truck still waits to be halled away in front of the property owners house. Starting as early as 5am several people and equipment were there to clean up the cotton seed and lol at the damage central ag bosses were much thankful and greatful of the outcome and help of everyone. 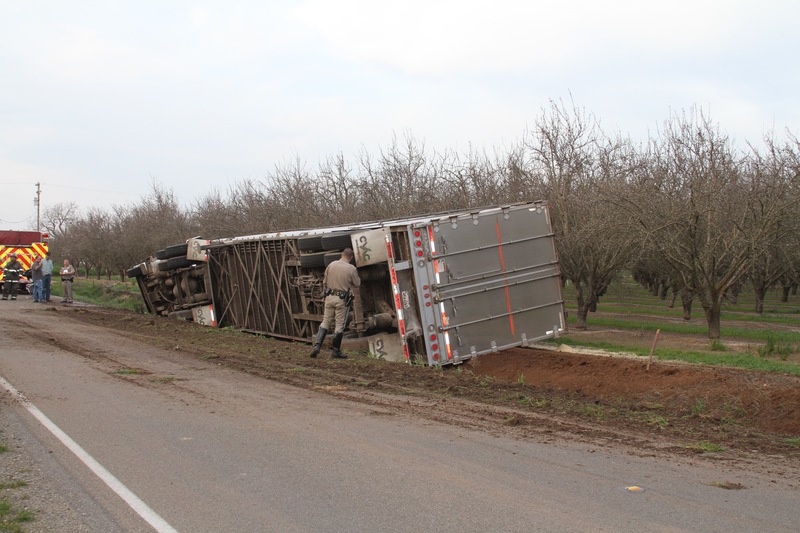 WeEscalon Central Valley AG Transport Truck vs. Drainage Ditch.